After receiving payment from the insurance carriers, the next step in the billing process is to bill patients for any remaining amounts. This process often includes the need to collect from patients on balances not paid. 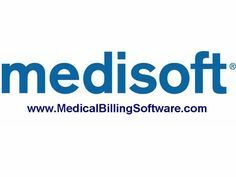 This chapter will discuss the different methods of billing statements, as well as the ways Medisoft can enable your office to better collect outstanding debts owed by patients. Additionally, we will discuss the process for collecting charges owed but not paid by insurance carriers. Patient Reference Balance: The patient reference balance contains all charges in the patient’s ledger that have any outstanding balances. As soon as a charge is entered it is reflected in the patient reference balance. If a transaction is set to be billed to an insurance carrier, the patient reference balance is the only balance it resides in until the claim is billed. When looking at the Transaction Entry screen, the field labeled Account Total will show you the patient reference balance. Standard patient statements will include patient reference balances. Patient Remainder Balance: Patient remainder balances contain charges for which no insurance carrier is responsible AND charges that have been complete payments made by all responsible insurance carriers. By “complete” we mean that the payments entered for the insurance carriers and that payment has been applied and marked “complete” in the payment application screen. Primary Insurance Aging Balance: When dealing with primary insurance aging balances, we are looking at the amount that is owed by all primary insurance carriers. A charge enters this balance at the point it is billed to the primary insurance carrier. A charge leaves this balance at the point a payment is applied from the primary carrier AND that payment is marked complete. Secondary Insurance Aging Balance: This balance functions similar to the primary insurance aging balance. A charge enters this balance when the primary insurance carrier makes a complete payment AND when the secondary claim is billed. A charge leaves this balance at the point a payment is applied from the secondary carrier AND that payment is marked complete. Tertiary Insurance Aging Balance: The tertiary insurance aging balance functions like the secondary insurance aging balance. A charge enters this balance when the secondary carrier makes a complete payment AND when the tertiary claim is billed. A charge leaves this balance at the point a payment is applied from the tertiary carrier AND that payment is marked complete.